When it comes to your health, you want reliable help and modern solutions. Our asthma doctor prides himself on providing West Texas & Eastern New Mexico patients with the best medical care possible. His level of proficiency and depth in the areas of allergy, sleep and respiratory care is unparalleled in the region. Due to Dr. Bray's vast medical, educational and clinical experience, his practice has become a sought-after center for Asthma, Allergy Sleep, Sinus and Lung problems. You will be hard pressed to find a better allergy, sleep or asthma doctor in West Texas & Eastern New Mexico. Regardless of whether you need advanced allergy or sleep care or have common or unusual asthma or sinus problems, we can provide you with an expert who can address your condition. Our range of experience runs from diagnosis to ongoing care, and we have the equipment, knowledge and experience to work with very unusual and complex cases. Dr. Bray has unique training and background in multiple medical disciplines which makes him especially qualified to treat patients with several types of health problems. He does not see allergy, pulmonary, sinus, and sleep problems as isolated diseases, but as problems that affect and are affected by the whole person. This includes other health problems, their personality and life circumstances. After a detailed careful history and physical examination he develops, for each of his patients, a complete personal medical plan that he believes has the best chance to really work well for them. Many people who have allergy problems associated with stuffy noses snore and do not sleep well. Individuals with sinus allergies frequently have respiratory problems, in particular asthma. Approximately 30% of patients with obstructive sleep apnea will also have allergic rhinitis. A stuffy nose makes snoring and obstructive sleep apnea worse. Children with allergy problems and stuffy noses have a higher incidence of parasomnias, which include night terrors, sleep talking and sleepwalking. Patients with obstructive sleep apnea often have lung problems, like COPD and asthma, which makes the effect of obstructive sleep apnea much worse. Approximately 8% of U.S. children have asthma and over 30% have allergic sinus problems, many have both. The obesity rate in children and adults in America is rapidly increasing and is tightly associated with obstructive sleep apnea. Obesity also is related to increasing the severity of asthma. Dr. Bray, on every new patient, takes a comprehensive medical history, a complete review of systems then does a careful medical physical exam, reviews x-rays, lab and old records so he can see each new patient as a whole individual who may or may not have multiple interrelated health problems, a unique personality and social situation that can affect what he is trying to treat. His broad training and many years of experience make him an ideal physician to treat patients who have allergy, asthma, pulmonary, sinus or sleep problems. Dr. Bray personally sees all of his patients. All of his patients receive the training they need for their problem plus reading material to increase their understanding and compliance. On every visit they always receive a detailed personal take home plan sheet that has their diagnosis, list of any needed labs, x-rays, etc. and a detail outline of exactly what they need to do until their next visit. Dr. Bray’s home phone number is on every one of their plan sheets. If he is not home the recorder will give them his cell number which he will answer. Dr. Bray received his undergraduate degree as well as his medical degree from the University of Miami. He completed his Internship and Residency in Pediatrics in Miami at Jackson Memorial Hospital, the main teaching hospital of the University of Miami and the county hospital of Dade County. Jackson Memorial is the largest teaching hospital in the south. He then completed specialty Fellowships in Allergy, Immunology and Pediatric Pulmonary Medicine at Duke University, which were funded by a grant from the National Cystic Fibrosis Foundation. This was followed by a fellowship in Pediatric Critical Care Medicine at Johns Hopkins Hospital, which rounded out his pediatric pulmonary training. At that time, sleep medicine was a new area of medicine. In 1983, Dr. Bray went to Stanford to receive training at the most renowned sleep center in the country. Started directly by William Dement, M.D. He then completed more training at the University of Alabama and South Western Medical School in Dallas, with Phil Becker, chief of Sleep Medicine at Presbyterian Hospital and a professor at South Western Medical School. 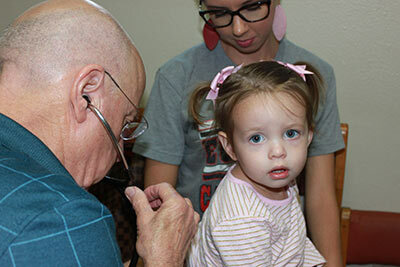 Dr. Bray has been working as a practicing physician in West Texas for over thirty years. He started the first pediatric ICU in West Texas in 1982. He started the first Cystic Fibrosis foundation approved satellite center in West Texas affiliated with the major C.F. center at South West medical school in Dallas. He put in the first accredited hospital sleep lab in West Texas at Odessa Regional Hospital. Dr. Bray started and developed the first accredited outpatient sleep center in West Texas. He placed the first small child (age one)trached and ventilator dependent back in his home and started a home care company (Homecare Plus) to provide him and others with this special type of care in 1982. Dr. Bray has participated in two prospective total independently run adult and pediatric asthma outcome studies. One sponsored by the American Group Practice Association of America and one by the American Academy of Asthma, Allergy and Immunology. These studies incurred medical school academic asthma centers, allergy specialty group practices and independent solo boarded allergist. Dr. Bray’s patient did extremely well compare to patients from all these type asthma centers. He kept his patients well, in school, at work, out of the emergency room and hospital. He was the first board certified pediatric pulmonary doctor (his board number is 22) in the United States and one of the early board certified sleep doctors in Texas. His long and rigorous training, natural curiosity, ongoing love of learning, and many years of active clinical practice have built a powerful wealth of knowledge and experience he can put to work for you. Certificate of special confidence in Cystic Fibrosis from the Cystic Fibrosis Foundation of America. Our philosophy is simple. Communication builds healthy relationships between patients and physicians. Asthma, allergy, sleep care and pulmonary care can be puzzling. We aim to make sure not only that you are comfortable with what we are doing to treat your condition, but that you understand it as well. A patient or parent who understands their medical care and actively participate in it will do better than those who are misinformed or passive in their own care. The only bad question is the one that needed an answer but was never asked. Regardless of whether you need advanced adult or pediatric asthma, allergy, sleep or common or unusual asthma, sinus problems, we can provide you with an expert physician who can address your condition. Our range of experience runs from diagnosis, to initial treatment, to ongoing chronic care, we have the training equipment, knowledge and experience to work with unusual and complex cases. If Dr. Bray believes you would do better under another physicians care or at a large specialized center he will not hesitate to send you. If you would like a second or third opinion he will help you pick the expert and help make the appointment. John D. Bray, MD is a medical doctor serving West Texas and South Eastern New Mexico. Dr. Bray is a specialist in the areas of allergy, asthma, pulmonary and sleep disorders. 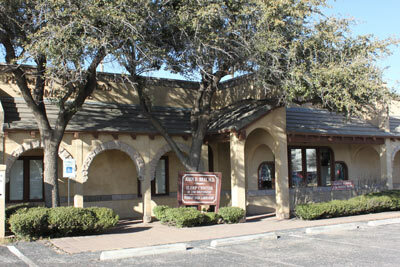 Dr. Bray's office includes the Sleep Center of the Southwest and Allergy Alliance, all in one location. 606 B N. Kent St.